SCAD students are flawlessly prepped for leadership in the dynamic and ultra-competitive global fashion industry. Our rigorous curriculum is structured around principles of design, unbounded creativity and state-of-the-art technology. The SCAD fashion program has deep industry connections, and top fashion trendsetters visit and work with students frequently. With the tutelage of award-winning, experienced faculty and visiting mentors, you will master the full spectrum of fashion — from the conceptual to the commercial. 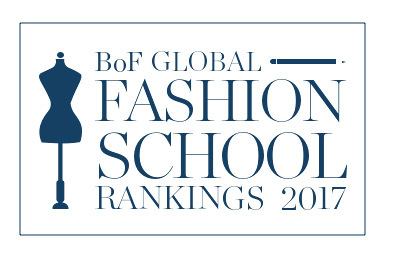 London-based The Business of Fashion has ranked the SCAD graduate fashion program No. 1 in the U.S. for learning experience. Fashion students may complete a B.F.A. and M.A. in as few as four years or a B.F.A. and M.F.A. in as few as five years. SCAD's fashion degrees are offered in Atlanta, Hong Kong, Savannah and online via eLearning. The SCAD FASH Museum of Fashion + Film, the largest museum of fashion and film, and the award-winning SCAD Museum of Art in Savannah, feature curated couture exhibitions with designs of Oscar de la Renta, Vivienne Westwood, Carolina Herrera and Daniel Lismore. The two museums also exhibit looks from the university's permanent collection of more than 1,000 garments created by the world's leading fashion houses. The annual SCAD Fashion Show features the work of our top designers and offers you a fantastic opportunity to experience a major fashion show on your home turf. Recognized as one of the foremost student shows in the country, the event attracts industry visitors from around the world seeking the newest up-and-coming talent. Take your degree in fashion all the way with incredible opportunities at SCAD. Alumna Audra Noyes describes how the training she received as a student helped open doors to positions at Jeanne Lanvin and John Galliano, and eventually led to the debut of her own luxury line during Paris Fashion Week. As a SCAD fashion student you'll collaborate with students from many other departments. Accessory design, fashion marketing and management, luxury and fashion management, and other disciplines work together to produce all-encompassing creations — because, at SCAD and in the industry, synergy is key.